When people hear the word "beneficiary," they immediately think Last Will and Testament. 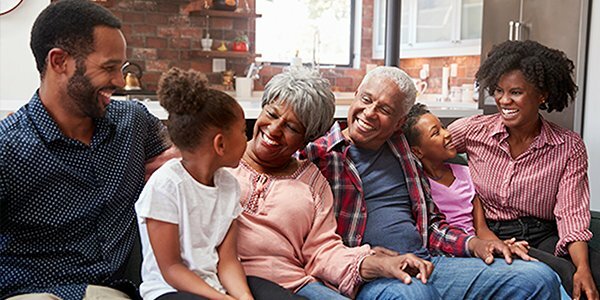 Though wills certainly are a popular way to designate beneficiaries, there are two others to keep in mind, and they are free. So if you are one of those people with annual checklists, keep these in mind when considering designating beneficiaries. Though the name is morbid, the idea is clear. There are many retirement accounts you may have that will pay out to beneficiaries at the time of your death. These named beneficiaries actually supersede anything in a will or trust, and the accounts these are associated with could be quite lucrative. Take the time to check who you have named for beneficiaries for such accounts as your 401(k), 401(b), IRA, and other similar accounts. Perhaps you have gotten married, or had additional children, and these are not listed on your accounts. Many accounts even allow for specific percentage distribution, and you may want to alter these for a variety of reasons. Take the time to check these accounts, and make sure your prior designation is still your current desire. Keep in mind that by federal law, spouses are the beneficiary of retirement and pension accounts. If you would like to designate someone other than your spouse, or even in addition to, you must get your spouse to sign a waiver. This holds true even if you are separated but not divorced. You still, by law, have a spouse. Another means by which to name beneficiaries is through what's called a Totten trust. There are many other names for this, including In Trust For (ITF) account, Pay On Death Account, revocable bank account trusts, tentative trusts, informal trusts, or even the "poor man's trust" because it is free and you don't need a lawyer to set it up. They all generally perform the same service. This is an account that you can set up with your bank that, in the case of your death, automatically accumulates any cash or Certificate of Deposits (CD) you have with that bank linked with the trust. You designate a beneficiary for this account, and can change this beneficiary whenever you want, or even close the account, at any time during your lifetime. Upon your death, the named beneficiary need only show up to the bank with your death certificate and proper identification to withdraw the funds, thereby totally avoiding probate. If you have questions about these, or any other beneficiary vehicles, contact a local estate planning attorney. No one wants to think about their own mortality, and very few people outlive their optimistic life expectancy. Prepare for the unexpected for a more peaceful present and future.